Please note: Please call ahead for “Summer Saturday” hours! 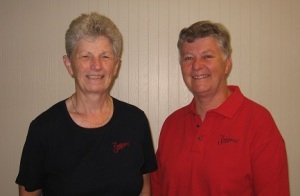 The original “The Strippers!” corporate store (located on Gage Avenue) is owned and operated by Margery Smith and Rita Wagner. Along with their staff, Natasha Wight, Steve Baker, the Head Office location continues to provide experienced quality work for all of Kitchener-Waterloo and the surrounding area. Opened in 1987 as a corporate store, this location is now owned and operated by Ron McKay. If you live in Guelph, take all your antique refinishing needs to The Strippers! at Silvercreek Parkway and Speedvale Road. Since 1989 the Kitchener Strippers continues to offer stripping, finishing and repairs to all of Cambridge.